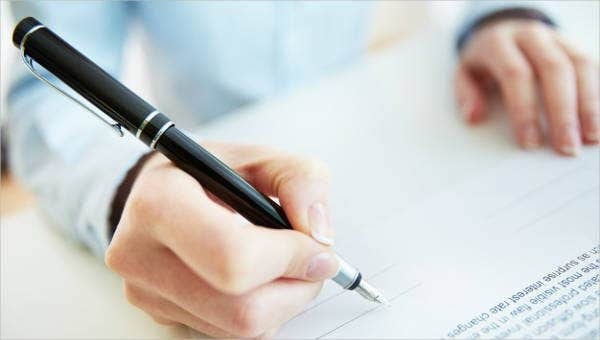 It is very important for an employee to submit a resignation letter as it will allow him to process his or her exit clearance properly, hence having a smooth flow of processes in getting a certificate of employment and other documents that he or she may be needing in the future, especially on other job applications. 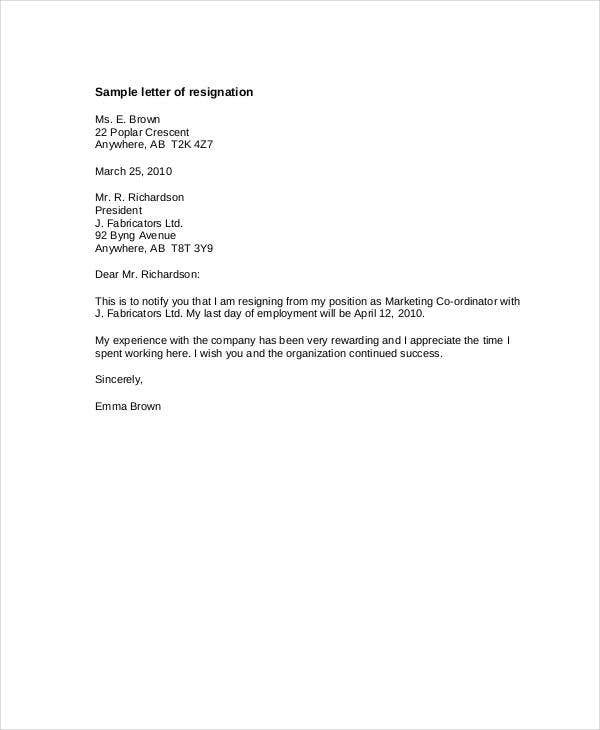 We can provide you with a resignation letter with thirty-day notice template so you can be guided in creating the proper resignation letter and the information that should be included in creating a basic letter for resignation purposes. For more samples of a Resignation Letter Template, you can browse through the link provided. There are transactions that are needed to be done to assure that an employee has complied with all the requirements for resignation before leaving the company. The human resource department needs to check any balances of the employee to the company and the money that he or she is still to receive after resignation.. The company needs to find another employee who can take over the tasks of the employee who is to leave so to assure the proper transition of work tasks fulfillment. 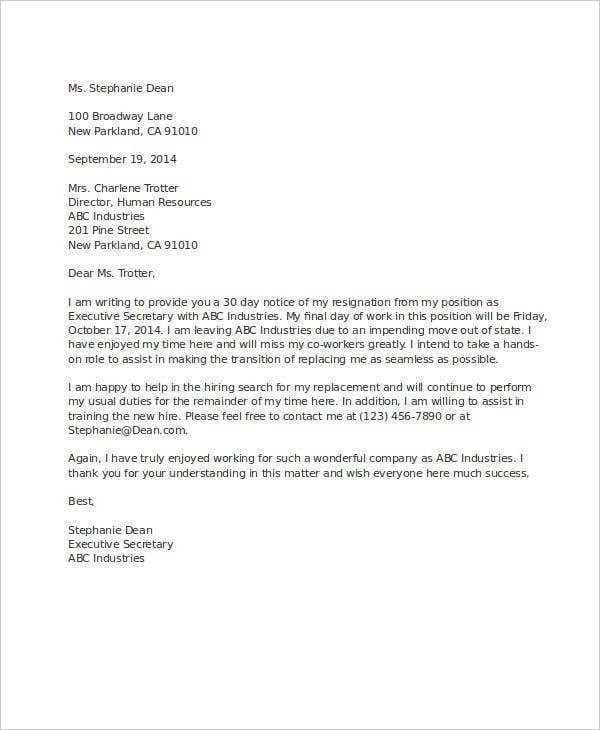 If you are already set to resign in your current company, thirty days of service rendering before resignation can provide the following: You may also see Standard Resignation Letter Templates. It will give you more time to pass your resignation requirements to different departments of the company, which will make it easier for you to get signatures for your exit clearance. There will be enough time for you to bid goodbye to your workmates and for you to endorse the items that you are to leave. You can still get paid for another month even if you have already passed your resignation. 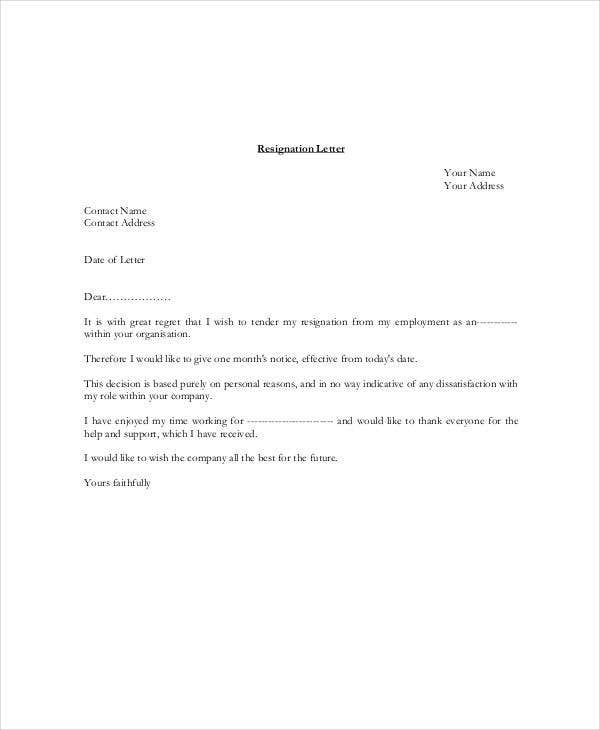 Other than our templates for a resignation with thirty day notice, you may also download our Funny Resignation Letter for reference should you want to use this kind of letter for your resignation. If you are still to render thirty days of service after passing your resignation letter, here are a few items that should be included in your resignation letter: You may also see Two Week Notice Resignation Letter. 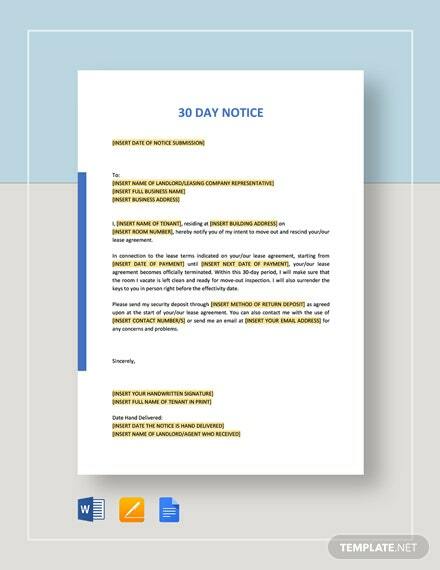 Assure the company that you are still to follow the thirty-day notice before the effective date of resignation so the human resource can take note of it in the company systems. Provide your reason for leaving and explain that a thirty-day extension to the company is still possible even if you have other items to focus on as you resign. Make it clear whether you are to render thirty working days or you are to include your days off and leaves in the duration of your service rendering. You can also add the plotting of your activities within that thirty day period including the resignation processes. 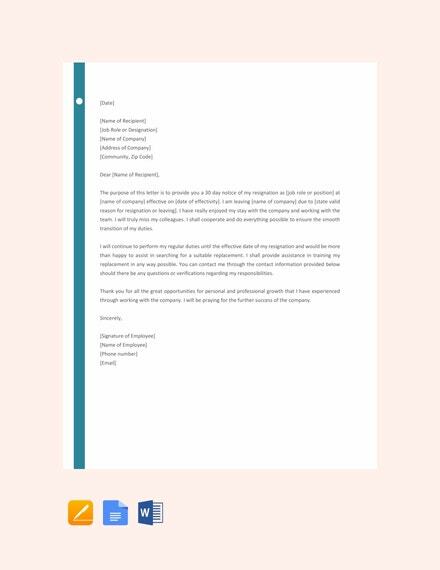 Other than the resignation templates that are already available in this article, you may also make use of the Resignation Letter Templates on our website.